The widely recognized Haddonfield Public Schools district welcomes students in grades 6, 9, 10, and 11 to fill a limited number of openings in the general education programs of its middle and high schools. We recognize that a student’s middle school experience lays the foundation for high school achievement. That’s why Haddonfield’s curriculum is a step-by-step continuum. Each year builds on the one before it. At the middle school, teachers cover core curriculum subjects, forming an important bridge between the one-teacher familiarity of elementary school and the multi-teacher structure of high school. The school’s curriculum includes Math 6, Accelerated Math 6, Math 7, Accelerated Math 7, Pre-Algebra 8, Accelerated Algebra I, and global languages German, French and Spanish. The middle school academic programs are enhanced by the school’s 1:1 Chromebook program. But middle school isn’t all work and no play. Outside of regular school hours, Haddonfield Middle’s “curricular extensions” let students explore other paths and interests. These include Gay-Straight Alliance, Diplomats for Diversity, Coding Club, HMS Drama Club, a state-recognized Sea Perch program and Math Counts. The school also has a robust Peer Leadership program that involves students in community service projects, helps them learn to avoid destructive decisions (especially with respect to alcohol and drugs), and builds school pride. Those are among the 30 co-curricular clubs and activities available to our middle and high school students. In addition, student-athletes have a range of teams to consider. 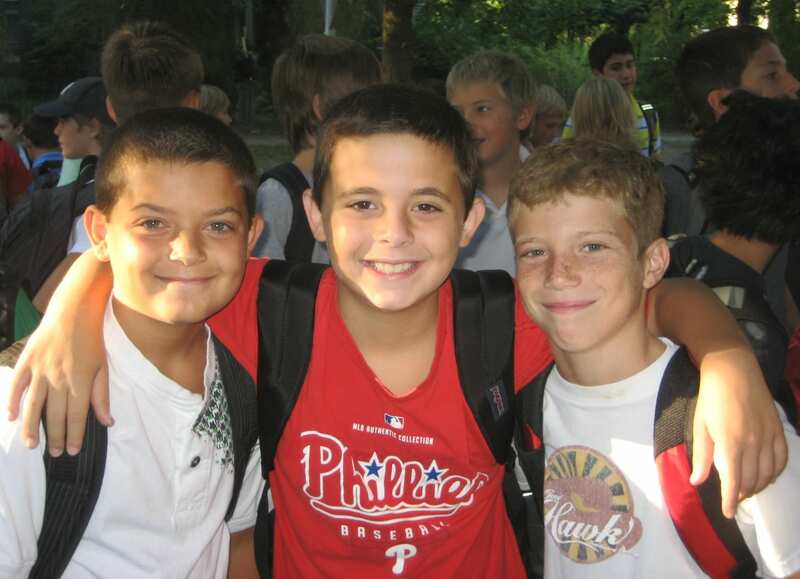 While many families consider ninth grade as a time to consider a new school, Haddonfield encourages parents and students to rethink sixth grade as the optimal transfer point. That earlier timing sets the middle school student on a path for high school success. And because students from three elementary schools come together at Haddonfield Middle, there’s no better time for a newcomer to blend in. Everyone’s new in sixth grade! Haddonfield’s high school has been a “No Place for Hate” site in South Jersey — a coveted recognition from the Anti-Defamation League — since 2011. Their “No Place for Hate” honor recognizes a commitment to promoting strong respect for diversity and to continuing anti-bias efforts. Read more in this Courier-Post report. Senior, soccer player, Peer Leader, headed to college to study nursing. (ext. 6217) or an email. Looking for the Haddonfield Public Schools website? Click here.